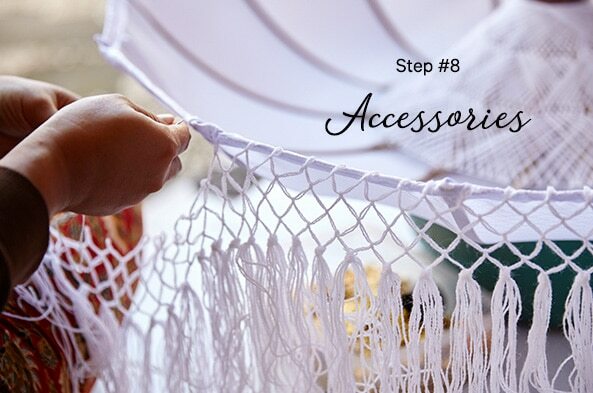 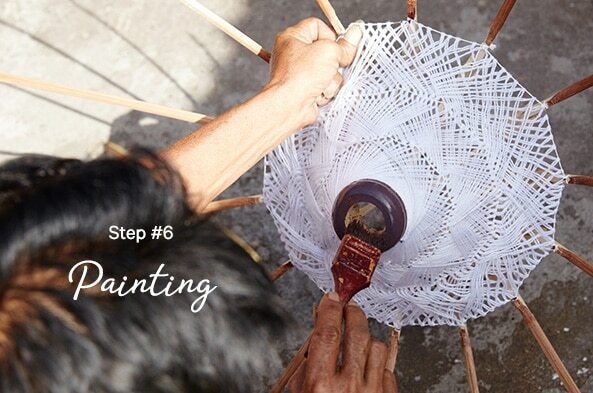 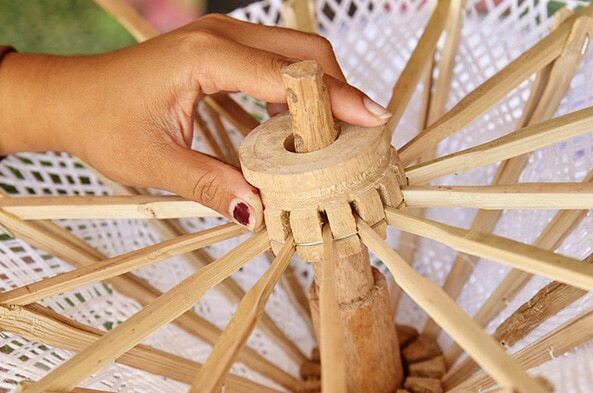 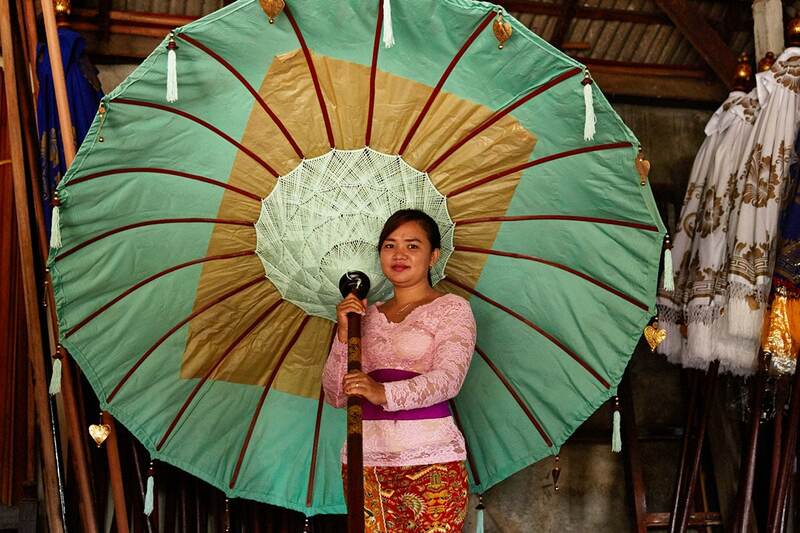 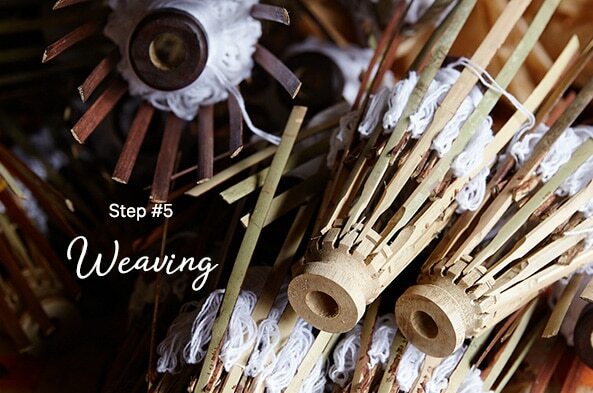 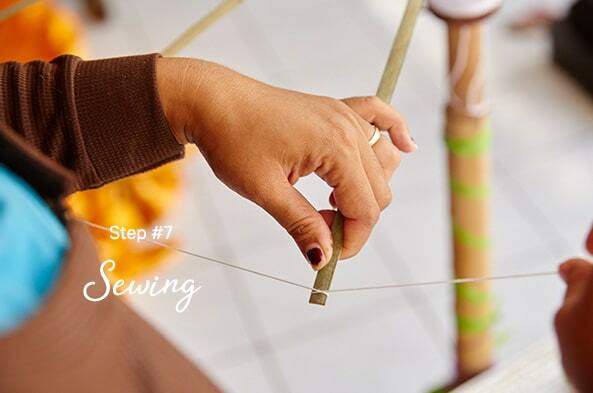 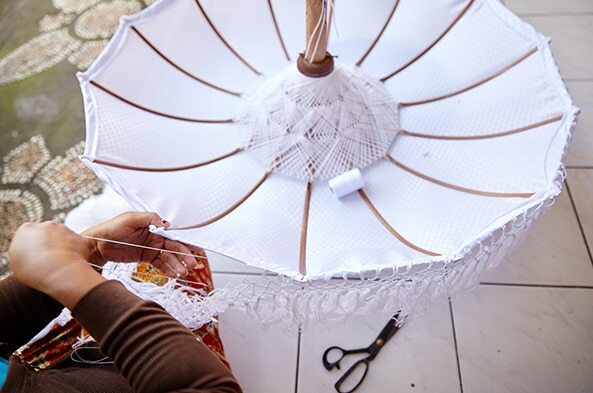 What are Balinese ceremonial umbrellas? 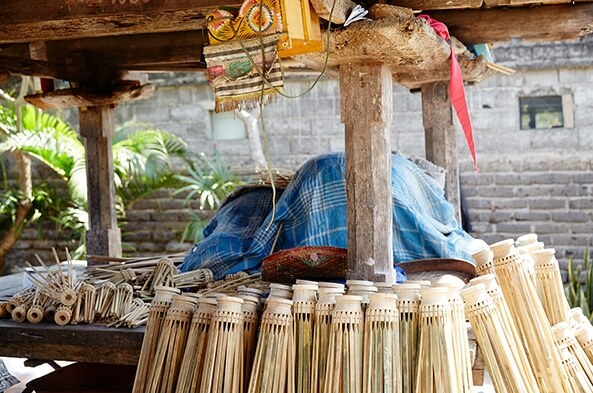 Bali umbrellas are used as part of traditional hindu ceremonies in Bali. 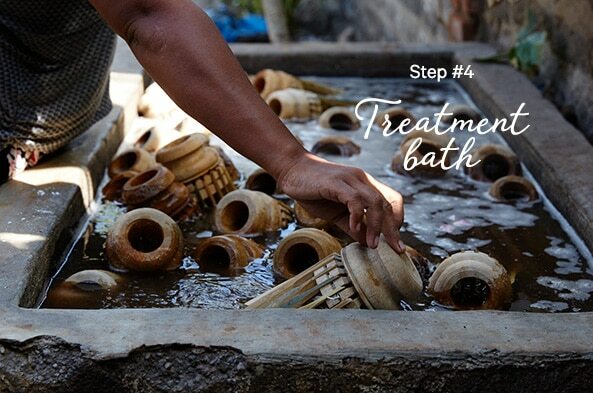 They are said to date back to around the 13th century when they were introduced to Bali during the Majapahit era. 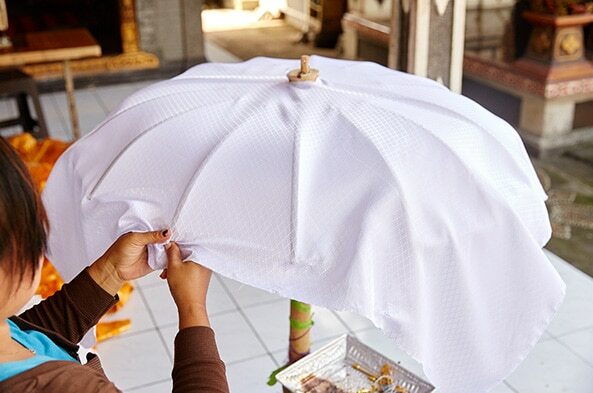 The color of the umbrella reflects the type of ceremony occurring. 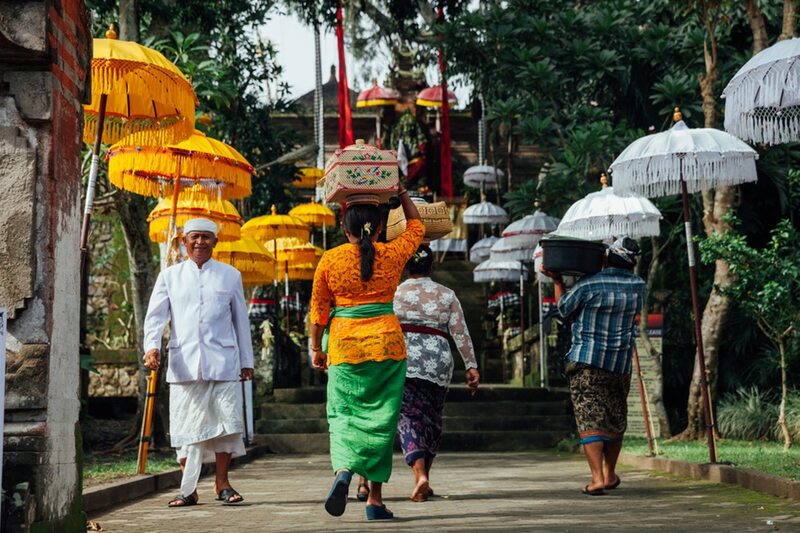 The umbrellas are always in alignment and orientated towards Gunung Agung; the sacred mountain on Bali. 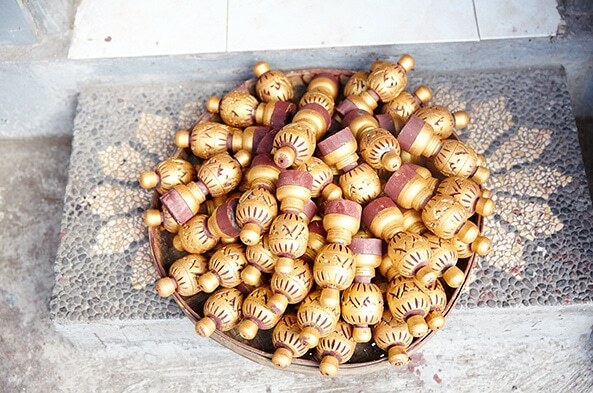 if you are visit temples in Bali you will see them positioned around the compounds to various shrines. 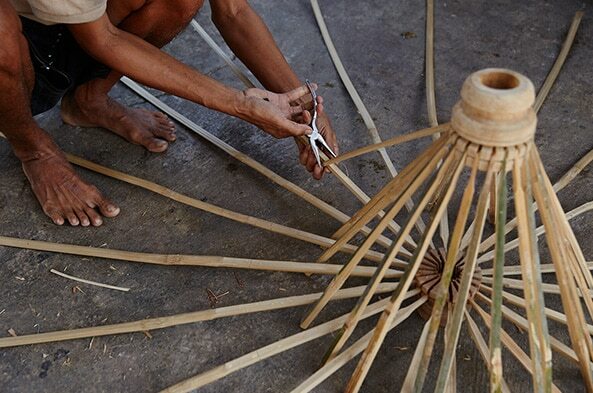 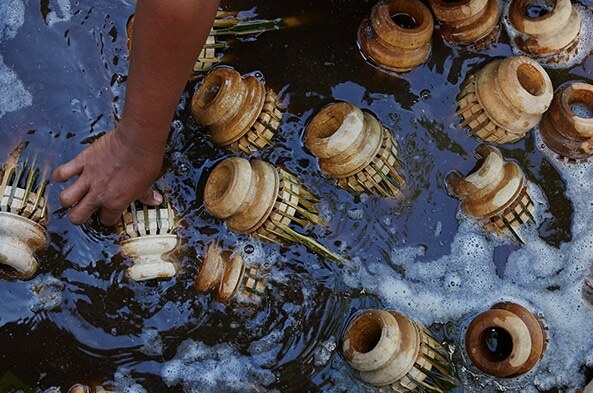 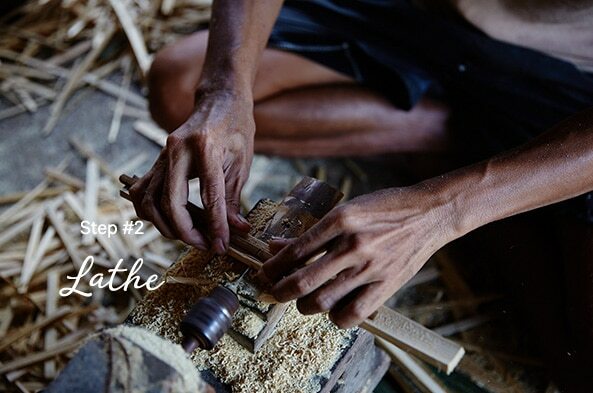 The bamboo is cut to the required measurements and lathe to make tube shape. 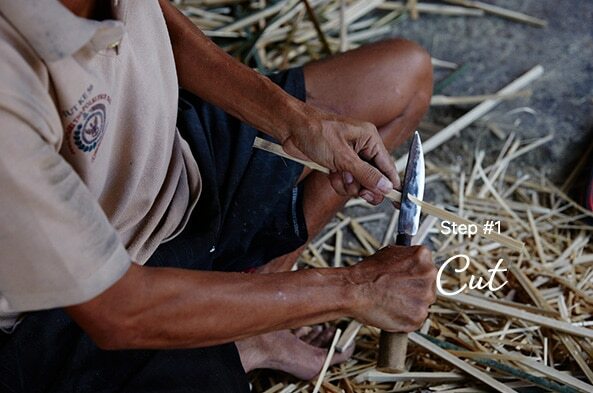 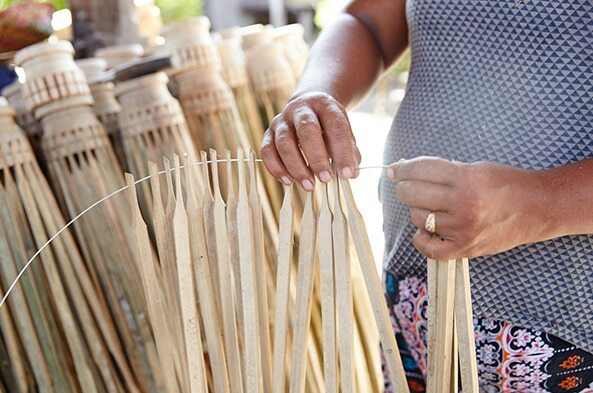 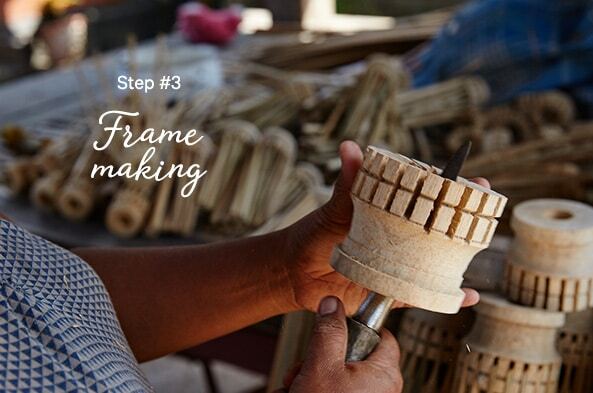 The cut and shaped bamboo is used to make the frames.